By applying MECLABS ROI-driven science models, you can cut through the speculation that so often surrounds agency work. Our team measures all significant factors through a unique combination of creativity and science to deliver optimized design. Is there a methodical way that one can combine art and science to produce a consistent win or result? This is the essential question the Creative Group was formed by MECLABS Institute to address. 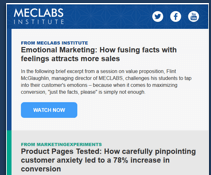 Since its formation, the Creative Group has been able to leverage MECLABS research to deliver marketing campaigns that utilize rigorous science-based strategies and conversion techniques to maximize the ROI from every creative execution a company relies on to deliver its value proposition to customers. 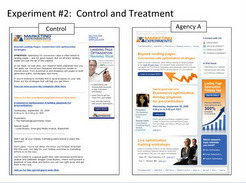 The Creative Group leverages MECLABS research to deliver marketing campaign based on rigorous science-based strategies and conversion techniques. We craft compelling, strategy-oriented creative executions and then test them through real-world customer interactions to find the best-performing creative. From these insights, we continuously develop new designs and tests to constantly improve your ROI while training your team in a methodological approach to writing and design..
We can ensure that your site deploys Web design concepts that are both aesthetically pleasing and maximally effective for your business. Too often, we must deploy after-the-fact testing to fix the eccentricities of an expensive design team. It is much more efficient to incorporate our knowledge from years of offer-response optimization right into the front-end of your design process. Of course, it all comes back to ROI. The ability to measure success (and failure) is the key to the value the MECLABS Creative Group provides. Through our data-driven approach, we constantly report back to you about where campaigns succeeded, fell short and how they should be fine-tuned to drive results. 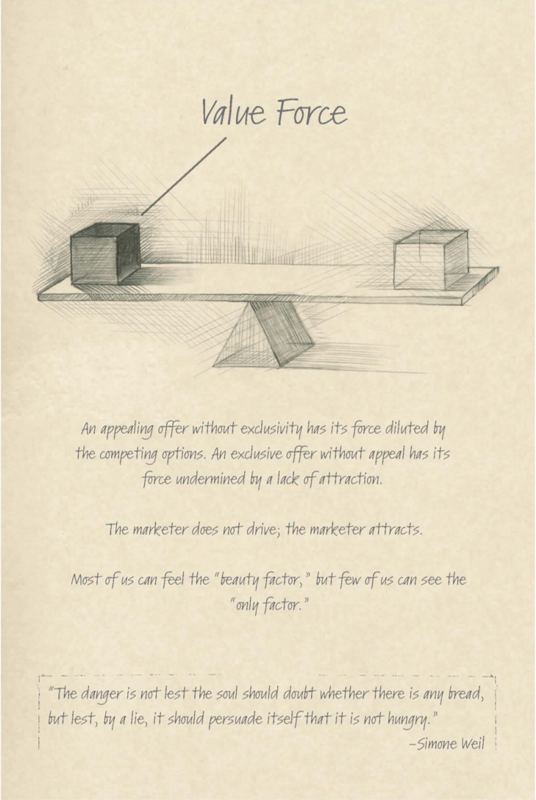 Most of us can feel the "beauty factor," but few of us can see the "only factor." Vew the full presentation video to learn principles that can help you better judge and measure the value of your creative executions. 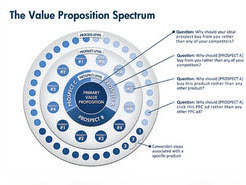 Learn about the importance of value proposition the four essential levels of this essential idea in The Value Proposition Spectrum.